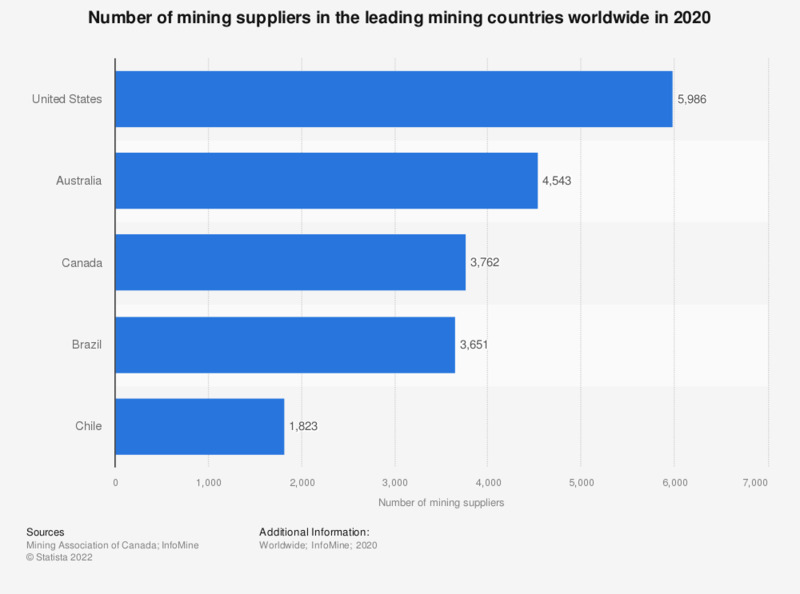 This statistic outlines the number of mining suppliers in leading mining countries worldwide in 2017. In that year, the United States had some 5,999 companies that were mining industry suppliers, while Canada had 3,772 of such companies. * Mining suppliers are companies that provide services such as technical, legal, financial, accounting, environmental, and other expertise to the mining industry.